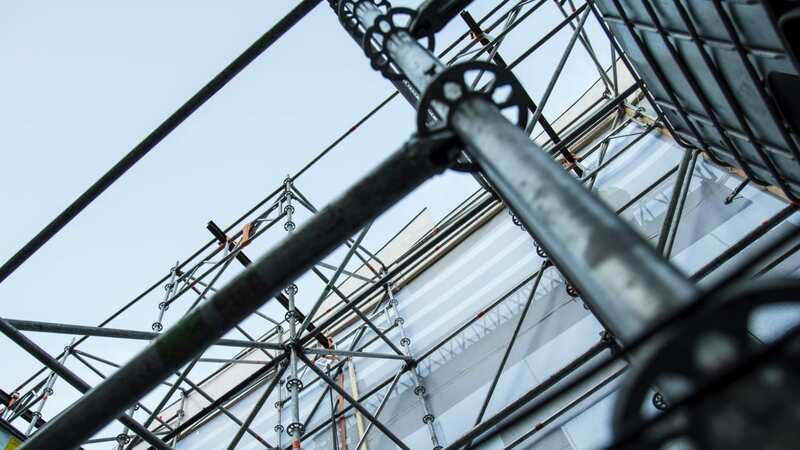 We offered height safety manufacturers the opportunity to explain what they think are the most essential considerations when selecting this important area of PPE, what developments they are particularly proud of and how they see the market progressing in the future. 1. What is the most important development or innovation you have seen in the height safety industry over the last 12 months? The height safety business is in a way mature and there are a variety of high quality products as well as players in this sector. The new thinking, however, is conspicuous by its absence. But if one allows the work in positioning systems, i.e. rope access, in to height safety business I would say the development of the Actsafe ACC power ascender is one of the most interesting innovations the last year. Not only does it open up for new and revolutionary working methods it also improves the ergonomics since it eliminates hard climbs on ladders and ropes. Twinstop fall arrest runner for vertical rail system. A fall arrest runner which looks at speed changes. The industry has lacked any real innovation in the last few years. The most important development has been the increase in me-2 product supplied into the market at ever decreasing prices and margins. It is not surprising therefore that true innovation has been suppressed. I’ve been impressed by companies such as Uniline, P+P and ISC who have maintained a policy of no compromise - British industry leaders that have stood firm and prospered amid a tide a cheap alternatives. The emphasis on training and ensuring that people working at height are trained and competent to do so, including inspection of fall arrest equipment. For us it has been the EXO, so far. Not that the Exo finds direct applications in the industry but was develop for and with NYC firefighters. We can consider it as a “reserve parachute”. It saved it’s first life last December! Of course such a system needs in addition a very specific training. We can probably think of other major innovations but this one remains top in our list for being a major team work success: the firefighters from NYC and the petzl developers. Further development of the ResQ RED Pro rescue and evacuation system and our OSCAR fall arrest system safe access to off-shore installations. Semmco has developed an innovative range of height adjustable and fixed height working platforms for the aviation industry. With folding rails to allow ease of access when working and adjustable height rails and platforms to allow multi-task working from one product. The evolution on the studies of Suspension Trauma and with it the improvement in the action and treatment of these cases. High quality systems PPE traceability with Radio-frequency identification (RFID) a great innovation to control PPE reliability. Certain players in the industry are becoming more professional, developing technical literature, improved point of sales material and packaging. 2. Where do you see height safety and fall protection developing and improving in the near future? Work at height is either in passive (fall protection) systems or in active systems (work positioning). These two attitudes towards working at height are to a great extent separated. The products used are different and they are also often sold by separate companies. The trend in the business is however that these two attitudes are approaching each other. Especially if you take a close look at the big players on the fall protection side, their interest in work positioning system is greater than ever before, it seems like it is “the” development of the business. Design is more and more important. Rescue will continue to be a key area of development and whilst there has been little real product innovation, various companies such as Spanset and ResQ (Denmark) have brought new systems to the market which have ensured the latest requirements for provision of rescue can be more easily complied with. Importantly these companies have also offered comprehensive and professional training as part of the package. The development of a wider range of products to protect people when working at height. New devices and systems will appear, but training will be in the heart of all major improvement for safety. We of course have our ideas - but because of competition - we are very closed about this. Semmco will continue to develop its multi-functional and variable height platforms for easy access and multi-tasking, using lighter weight materials and driven by the need to be responsible for recycling materials in the future. The products for this area are getting more and more specifics based on the use. Ex: confined spaces, roofing, and rope access. Thanks to standards, and public concern, height safety will become a subject that matters in building construction. From the architect desk, to the workers in the building site. The market will split into two, with many low cost countries competing on price and “me too products” and, another, more technical segment developing. 3. What is the most common problem you see end-users and/or specifiers struggling with when it comes to height safety? The most common problem would very much be poor risk assessment and rescue plans. The business is all aware of the risks with Suspension Trauma but only a few realize how quick and efficient the rescue operation has to be in order to avoid serious consequences. How to choose the right equipment for their specific problem. Justifying the cost of a professional product, system or training course compared with cheap alternatives. Throughout the industrial market safety is still seen as an issue of compliance only and price rules. Therefore extreme cost cutting leads some suppliers to walk a very fine line between compliance/fit for purpose and non-compliance and unless they are educated the user/trading standards/HSE will generally only find out when its too late. The correct choice of height safety equipment for the specific task and defining a rescue plan in their risk assessment. We usually don’t see many problems with work at height or rope access specialists. They are usually experts in the manner of using our ppe. Most problems may happen with fall arrest equipment or people using the equipment on an irregular basis. They may have problems knowing exactly when to use the equipment. Evaluation of price, quality and comfort of high end products in comparison to very cheap products. The most common problem is the short sightedness of a quick fix solution which is easy and cheap. This kind of solution only deals with the immediate risk and does not take future working requirements into consideration or uses for dedicated access staging and platforms. Another consideration is the constant need to use access platforms and the cost for inspection and qualified personnel on the assembly and disassembly. A very low knowledge about the correct use of the equipment. Installed systems and their utilization are often far from the compliance to the standard. Understanding current legislation and their responsibilities towards their employees. 4. What is the most important thing for your customers to consider when researching and specifying this kind of PPE? Do not only look into the need for fall protection, pay the same amount of attention to find an easy and efficient solution for rescuing the person that has been saved by the fall protection system. That they have contact with the MANUFACTURER! Don’t just look for the compliance label and the price tag. Look at the supplier and his entire offering - is it comprehensive and professional? Are there factors of safety built into the product and test results provided that go above and beyond the limited requirements of the CE standards? Does the supplier offer full support, training, assessment, technical backup and liability insurance? Have been advised of the best product for your application or are you being sold what is the most easily available solution or the one that provides the most profit for the vendor? Ensuring their employees are trained and competent in the use and inspection of the fall arrest equipment. Vast question! First of all, customers must precisely define the problem to solve, and also the frequency they will face it. Secondly the security must be taken as a “data”. It can also help being more performant and more efficient. Quality, comfort and lifespan into service = total cost of ownership. Customers should ensure that the manufacturers are competent and have experience in the design, manufacture and product support for such equipment. The solutions should be approved and CE marked at all times. Too much equipment is bought on the sight of a CE Label without the vision of the test certificates or technical documentation!! All the safety legal requirement, versatility and cost. To be sure that in any circumstance, and for a long time, the fall arrest system he choose will guarantee the safety of all the working team. This means high quality and undistortable systems. Choosing a supplier who can advise, train and supply the required products in the desired time frame. So there are the results from this quarter’s FORUM on Height Safety and Fall Arrest. What we found interesting as Publishers is that, although selling products still remains an absolute must, they all gave a considerable amount of attention to the importance of training. This really shows the users that they can have the best equipment in the world but if they’re not using it correctly, or it’s not the right product for the task in hand, they won’t be properly protected. Please, keep these comments in mind and use them to your advantage. Select high quality products, keep in close contact with the manufacturer and ‘pick their brains’ at every opportunity, and train yourself and your guys in the correct use, storage and maintenance of these essential pieces of kit. Start today by contacting them, using their advertisement contact details or the Advertiser List on page 106.